A follow-up to Amazon's $40 TV dongle may be on the way, with a faster processor and dedicated graphics. Amazon may be plotting a sequel to its $40 Fire TV Stick, one that might even support 4K video. Benchmarks on GFXBench reference an “Amazon AFTS,” with a 1.5GHz quad-core MediaTek MT8173 processor and PowerVR GX6250 graphics. The existing Fire TV Stick, which launched last November, uses a 1GHz dual-core processor and weaker integrated graphics. The benchmarks also show 1.5GB of RAM, up from 1 GB on the current model. In real-world use, that means the device could feel faster, while supporting more games that currently require a $100 Fire TV set-top box. As AFTVNews points out, about 30 percent of the Fire TV’s game library doesn’t work on the Fire TV Stick. MediaTek’s MT8173 also supports 4K video playback, which would work nicely with Amazon Prime’s expanding 4K content selection. The benchmarks do show a 6.9-inch display, though this could just refer to whatever Amazon used for testing. There’s no sign of an accelerometer, GPS, or cameras, indicating that the device is not a phone or tablet. Now for your obligatory dose of skepticism: The current Fire TV Stick is less than a year old, while the full-sized Fire TV launched in the spring of 2013 and itself does not support 4K video. It’d be a little odd if Amazon’s newer, smaller device suddenly became more capable. The benchmarks could just be an example very early testing, rather than a sign that a product update is imminent. Why this matters: The Amazon Fire TV Stick is nearly as good as its full-sized counterpart, it’s occasionally prone to stuttering as you navigate around its interface. 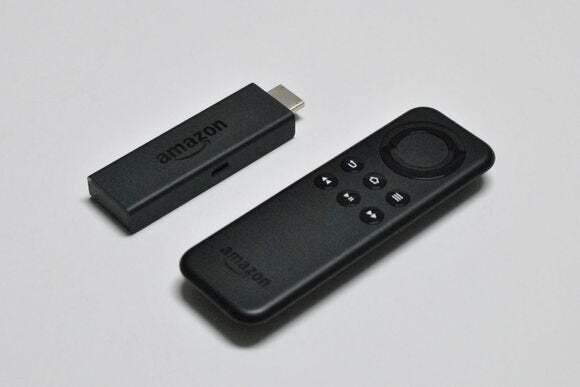 There’s still room for the higher-priced Fire TV, with its premium-quality remote, voice controls, ethernet, and optical audio connectivity, but a more powerful Stick could take over as the main option for most users.